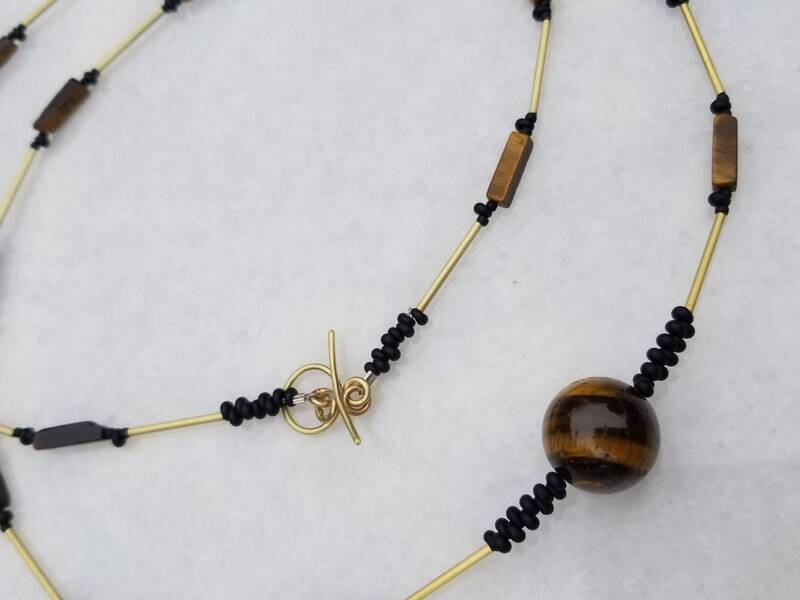 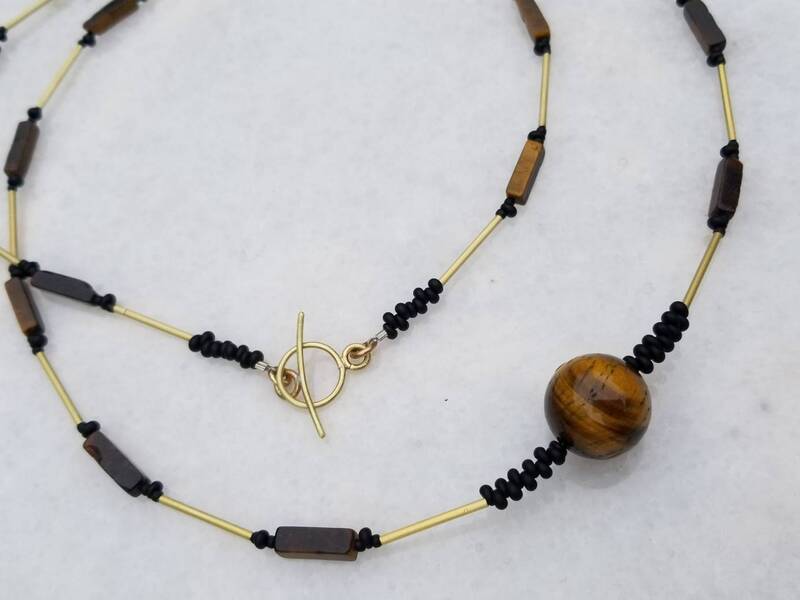 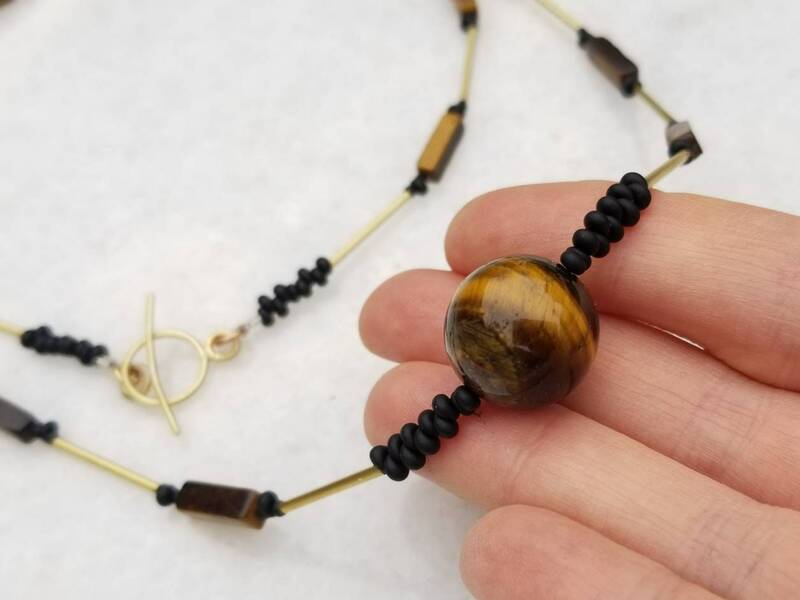 The centerpiece of this unique necklace is a large tiger eye bead, measuring 15mm. 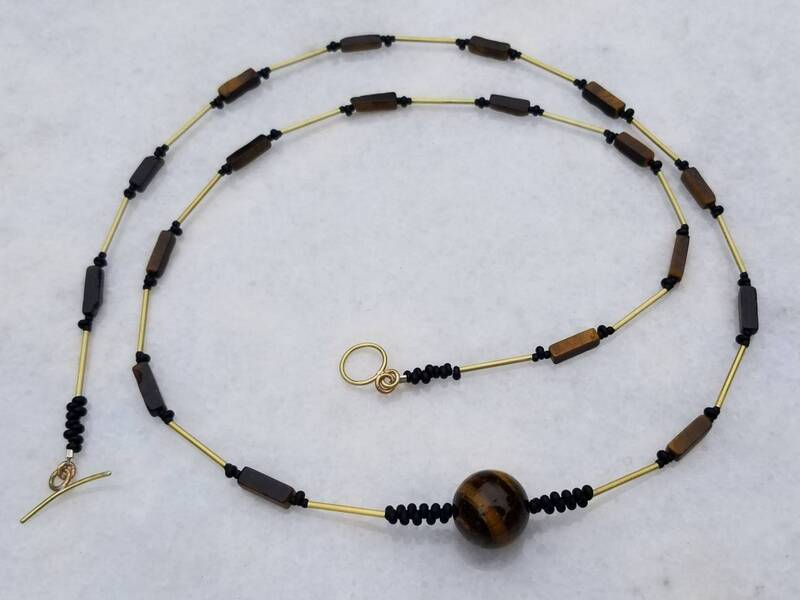 I paired the stone beads with Japanese glass beads and hand made brass beads. 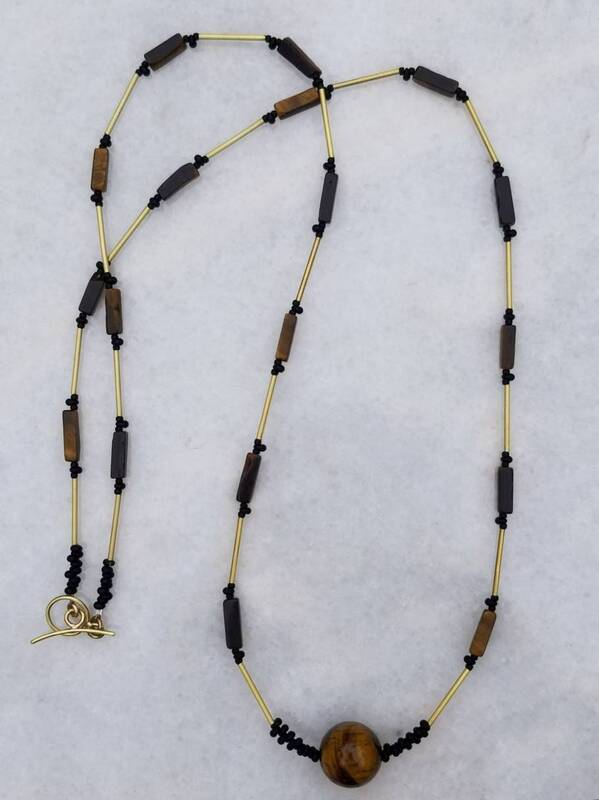 The necklace is 35 inches long with a hand made brass clasp.